How do I add a lap times for the 111R at laguna Seca? I dont think Relibility is as bad as it used to be. People still buy them, But i think its more on how you take cars of your car rather then the companys reputation. I havens had a single problem with my SkyLine in the past 12 years, Its built like a fkn brick! @ BR2+: You're right, a reputation sticks, especially a bad one. Still, Conception of there infamous reliability hasnt changed, If any at all, Truth be told its gotten alot better though. @ BR2+: Lotus was using their own engines in the 80s. Lotus isnt exactly know foe its reliability..But then again, This isnt the 80s..
On the brighter side, having a Toyota engine, it should be reliable, so I would definitely have one. I know that the Lotus Elise is the nimblest production car in the world, but $40,000 is a bit much for a car with less that 200 horsepower from a modified version of the engine found in a Toyota Corolla. Yes it is, I believe just the 111R and SC were available to you guys in Elise trim at the time. With a starting price of $40,780. You also got the Exige's to, But those are 20k more, And even more impractical. Engine location is at the front??? You m mean it's mid mounted ! 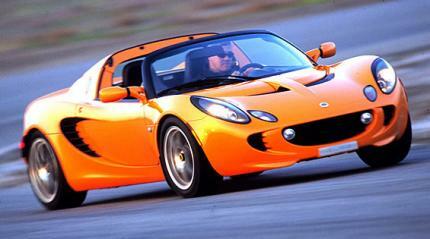 Ik kan de specificaties van de Lotus Elise Sport 160 helemaal niet vinden! I am afraid your figures are way wrong !! 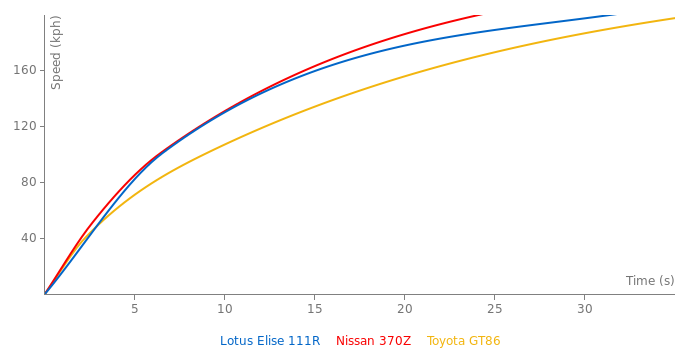 This site must do something about the mistakes made on many car models not only on the elise 111R.. Believe I remember Autocar conducting a 0-100-0 test on this car. It ran 0-60 = 4.8 and 0-100 = 12.3. The stats you have are way off and make no sense! 0-60mph is 4.4 tested by C&driver, so 0-100kmh should be around 4.7 or so. The figures on this car are way off. terrible performance stats for this car!!! i mean 14 seconds for the quarter mile??? but an excellent TsuKuba time! would it be alright fo me to give a link to better stats? ?